HAD Eleanor Catton’s precocious first novel The Rehearsal been shortlisted for the Booker Prize alongside her weightier winning tome the Luminaries, it might have been interesting to see how it fared. Academic as a question perhaps but relevant maybe. In The Rehearsal Catton is on home territory writing about girls, about teenage angst, about coming of age, about the topical sexualisation in schools. Her dialogue is sharp, even spiky and she has a literary superhero in the brooding, manic presence of the Saxophone Teacher. In the Luminaries she takes on subjects where she is less sure footed – a gold rush, opium dens, brothels, pioneering New Zealand and more obviously, men – only two of the presiding jury-esque cast are in fact female. The Rehearsal is a fast read. 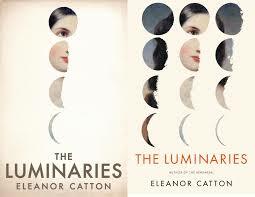 The Luminaries is a very long train journey of 832 pages. This is not a story about place, the gold rush village might be, as one of the characters admits “anywhere on earth”, even the gold itself in the jargon is called “pure”, so it might as easily be any other commodity – drugs or diamonds. It is a novel about gold digging which is not about gold digging. A seasoned Hollywood script writer will pick this story up at its Titanic moment on page 625 and not lose too much. With longer books there is a sense of space and here ratchet by ratchet we are lowered down the mine shaft of 1866 into myriad deceptions and half truths. The skill of a long book, one might argue, is that there is pleasure in the minutae, the kind that in a film we pick up in a glance but here we rustle through paragraphs and paragraphs between bursts of dialogue. An entrance takes pages. We have such details as in “NH had just brewed and steeped his four clock pot of tea, and was sitting down to a plate of sugared biscuits…” Some writers are very good at descriptions of sugared biscuits but that is not Catton’s department either. She is of the doll’s house school of dressing her characters up and moving them around different rooms and conversations. In the Rehearsal this was a school which was ideal for her style. We are as desperate as readers as the unsavoury crew of stranded characters. This is period drama without TVs helpful 60 minute segments and far too prim in a post Deadwood world. In a sense it ought to be about the art of story telling but Catton does not spin a notable yarn in the Irish sense. It is short on bluster and blarney and in its place there is a mechanical clock ticking as plot and characters unfold in stylistically metronomic regularities,…or perverse irregularities because the story telling is in reverse. It is a bombastic trick, science fiction backwards. The word engineering is derivative and inferior to John Fowles in the French Lieutenant’s Woman, an overriding Victorian railway station of melodramatic narration in the buttoned up collar starchiness of olde worlde sentences…”Such was the perception of Mr Walter Moody”… “if this experience was an expedience, however, it could hardly be called a virtue”. The verbal starch does not extend to some of the characters. The two chinamen who barely speak english manage to converse with each other without dialect or intonation. Some of the dailogue pulls you up sharp between the “dear mes” and the “there it is, madame” or in the plain banality of someone asking if in a middle of a ship wreck anyone had noticed the label on a crate….“passion, she said, in a low voice is not to be feigned”. Alas we are not overloaded with passion either. Of the dozen or more characters assembled in the Crown Hotel like some Greek chorus to discuss the implications of events we have at least two splendid characters in the scarred, salty dog sea captain who has been 10 years in prison and the former brothel keeper and beneficiary of the plot “a woman of ample beauty, a pleasure to behold”. Book prizes are book prizes and often, perhaps always, say as much about the judges as the judged. The misdemeanours of this book are manifest. The story is of no import, the characters are paper thin, the place is non-existent (well in fact it is a real town these days), the dialogue is woozy, the story – is there one? Or two? Or is it just a slice of imagined, everyday cold bluff 1866? Catton is a star but it is a painful exercise here of how she has written herself out of hole before she gets to the light. This entry was posted in fiction, Outtakes and tagged booker winner, eleanor catton, luminaries, rehearsal. Bookmark the permalink. There is an interesting aside to the structure pointed out by Darwin8u on goodreads.com – he awarded it 3/5.